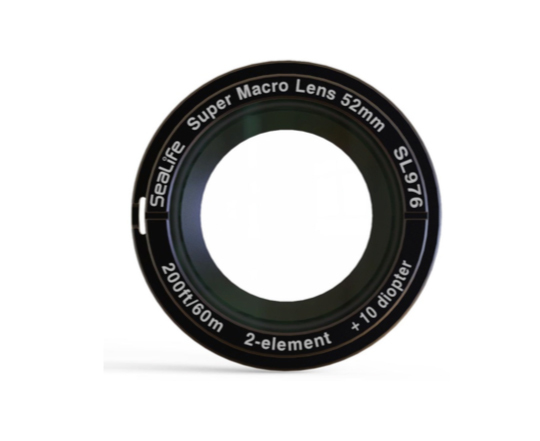 The Super Macro lens is constructed of optical grade glass with broadband AR coating on the inner surfaces to maximize light transmission and prevent flaring. Members earn 190 Points on this purchase! 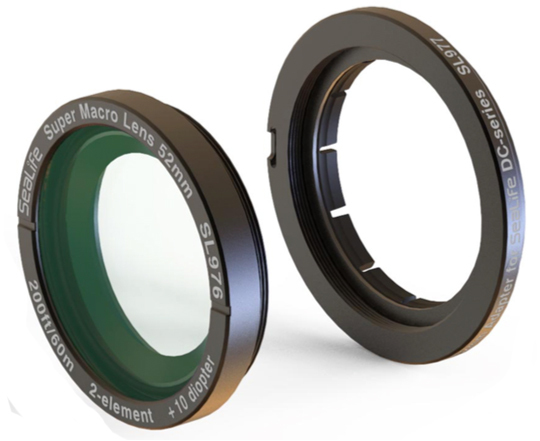 The 2-element/2-group optics features +10 diopter lens that shortens the camera’s minimum shooting distance by more than 50%. All the optics are housed in corrosion-resistant, anodized aluminum frame and is depth rated to 330ft (100m).